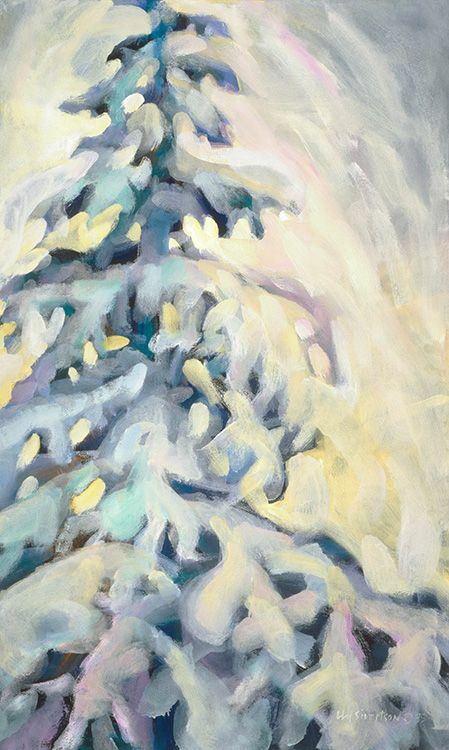 Liz Sivertson calls this painting “Winter Bonus.” Giclees of this can be found at Sivertson Gallery. Enjoy! Lots of music, parties and dancing are planned to welcome in 2016, and there’s more live music scheduled for the rest of the weekend, too. Pushing Chain plays at Lutsen Resort at 7 p.m. Dec. 31. Early revelers on New Year’s Eve can choose: Eric Frost & Bill Hanson at Papa Charlie’s, Jim & Michele Miller at Cascade Lodge Pub, Pushing Chain at Lutsen Resort or a Michael Monroe Log Cabin Concert at his home in Grand Marais. The music starts at 7 p.m. in each venue. For New Year’s Eve parties, the Ginstrings play at the Windigo Lodge at 8 p.m., Floydian Slip plays the Gunflint Tavern staring at 9 p.m. as does Earth, Wind & Todd, who play at the American Legion. 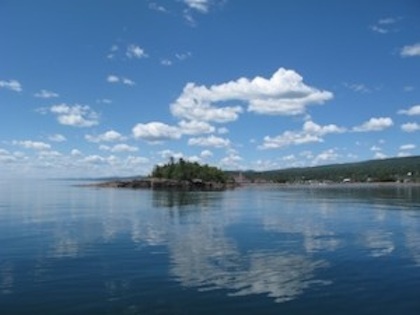 At 9:30 p.m., DJ D’Angelo plays dance music at Papa Charlie’s starting at 9:30 p.m.
Live music abounds for the rest of the weekend, too, (see schedule below) with Michael Monroe playing three Log Cabin Concerts at his rural Grand Marais home. 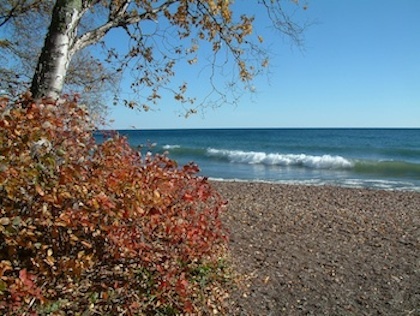 More music continues on Sunday when pianist Sam Black returns with his classical music series to Bluefin Grille in Tofte. This week he plays with Clare Chopp, a violist with the Duluth Superior-Symphony Orchestra. The music starts at 6 p.m.
Dave Simonett of Tramping by Turtles is joined by Benson Ramsey of The Pines,for an acoustic songwriter’s circle at Papa Charlie’s on Monday night. Then on Monday night, Dave Simonett, frontman for Trampled by Turtles and Deadman Winter is joined by Benson Ramsey of The Pines, to play the Monday Night Songwriter Series at Papa Charlie’s. The music starts at 8 p.m. It should be a great show. Gordon Thorne will hold the first of his winter Fingerstyle Guitar Workshops at Lockport Market in Lutsen from 5-7 p.m. Tuesday. The free, informal weekly workshops will focus on Early American Guitar Styles and is open to all playing levels. On Wednesday night, singer/songwriter Teague Alexy of Hobo Nephews of Uncle Frank is the guest artist at Papa Charlie’s Spotlight North. The music starts at 8 p.m.
Yvonne Caruthers will teach a class on classical music starting Jan. 5. 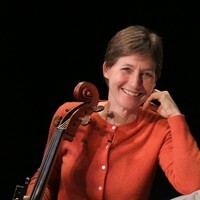 Winter is a great time to take classes, and next week, cellist Yvonne Caruthers will teach “Exploring Classical Music,” a six-week class starting on Tuesday, Jan. 5 and running through Feb. 9. The class will be held from 6:30-8 p.m. at the Arrowhead Center for the Arts. The complete class is $50 for adults, $25 for students, $10 at the door. For more info and to register, call Cook County Community Education at 387-2000, ext. 616. Fiber artists from the Duluth Art Institute will teach a felting workshop at the Grand Marais Public Library starting at 6 p.m. Wednesday, Jan. 6. All ages are welcome but children must be accompanied by an adult. The class is limited to 20 participants. To register, call the library at 387-1140. 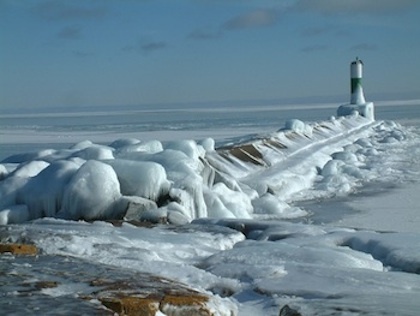 • The Grand Marais Public Library‘s winter Film Series starts Jan. 8 with “Marie’s Story. Free. 6 p.m.
• The Lake Effect Music & Ski Festival will be held at Lusten Mountains and Papa Charlie’s Jan. 8-9 featuring Useful Jenkins & DJ Abilities on Friday night and The People Brothers Band & Heatbox on Saturday. • The third annual Grand Marais Ole Opry, sponsored by the North Shore Music Association, will be held at the Arrowhead Center for the Arts Jan. 16. WTIP’s Carl Solander hosts the show, with the Roe Family Singers, Portage, Jim & Michelle Miller, and The Pinemartians, a new band on the Cook County music scene. 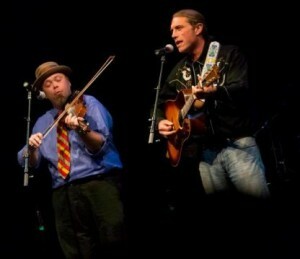 Band members include Tom van Cleve, fiddle and vocals; Kate Fitzgerald, vocals; Russ Viton, guitar; and Will Moore, acoustic bass. Stay tuned for details. 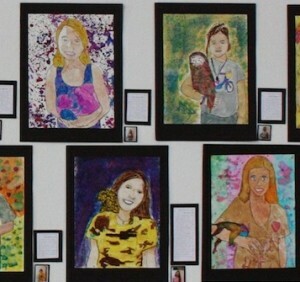 Students at Great Expectations School created a series of self-portraits. In other art news, for a charming and delightful exhibit, check out the Self-Portrait Fair exhibit by Great Expectations School students now showing at the Grand Marais Art Colony through next weekend. 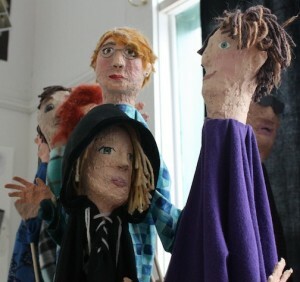 The exhibit features student self-portraits in a variety of media, including watercolors, pastels and a great collection of handmade papier mache puppets. Great Expectations teacher Suzie Schweig, who teaches 8-10-year olds, said her paraprofessional, Kim Knutson, helped her students develop and draw their portraits. They first choose a spirit animal and decided how they’d hold it. Then a photo was taken of them in this pose and projected onto paper so they could trace it. They then added their favorite animal and painted it with watercolors. The effect is pretty amazing. A few of the papier mache puppets on exhibit at the Grand Marais Art Colony. papier mache. They are very realistic and quite wonderful. All the students at the school made artwork for the fair, which was held as an open house at Great Expectations earlier this year, and all their work is included in this show. The puppets performed in a puppet show at the opening, but they’re quiet in this exhibit. It’s really a must-see. The Art Colony is open from 9 a.m. to 4 p.m. daily. 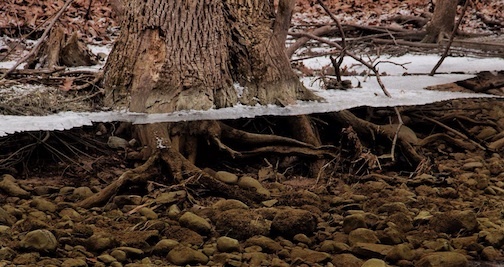 Here’s a heads-up for a winter project: Artists of every age are encouraged to submit work for the annual themed art show put on by Wilderness Episcopal Church every year. 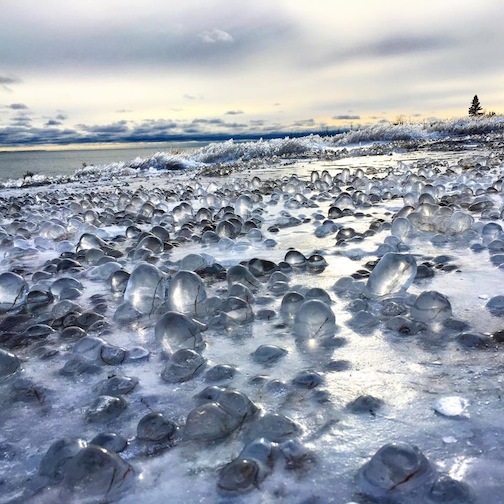 This year’s theme is “Sense of Wonder: Expressing This Place.” The exhibit will open at the Johnson Heritage Post March 4 and run through March 21. Work for the show must be submitted by March 1. For more information, call Bonnie Gay Hedstrom at 387-2538 or Ellen Stubbs at 663-7298. 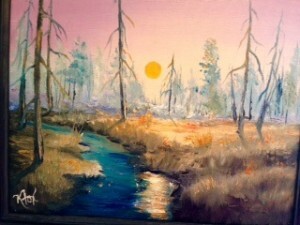 Painter Kathy Fox Weinberg is a new artist at Kah-Nee-Tah Gallery in Lutsen. 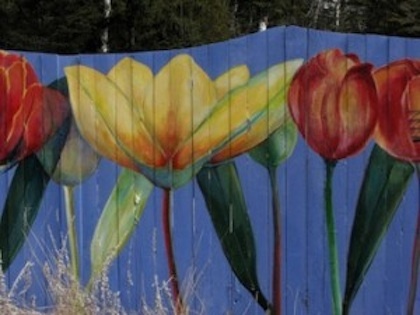 Kah Nee Tah Gallery in Lutsen is featuring work by painter Kathy Fox Weinberg. Also, this note: Birchbark Books & Gifts will close for the season on Thursday, Dec. 31 at 2 p.m. and re-open in April. Betsy Bowen’s Studio & Gallery closed for the season Dec. 24, but plans are in the offing to hold a few events this winter. Stay tuned. 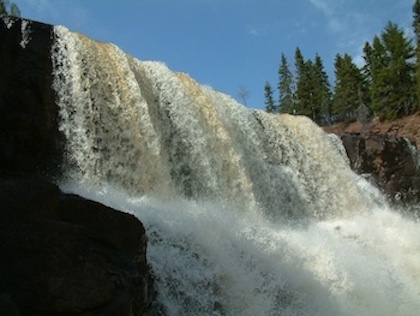 We frequently run photographs by Grand Marais photographer Paul Sundberg. Here’s a link to a story about him written by Sam Cook of the Duluth News-Tribune. 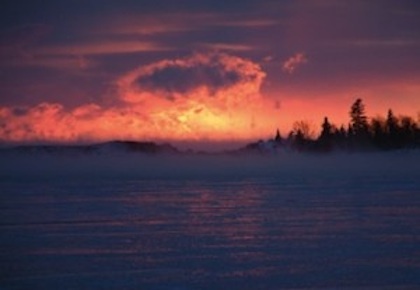 The headline for the article is “Right Time, Right Place: Great Shots for Northland Photographer.” Enjoy! We’ve talked a lot about the music for this weekend. Here’s a more detailed schedule. Timmy Haus, Papa Charlie’s, 3:15 p.m.
Eric Frost & Bill Hanson, Papa Charlie’s, 6:30 p.m.
Jim & Michele Miller, Cascade Lodge Pub, 7 p.m. Pushing Chain, Lutsen Resort, 7 p.m. The Ginstrings, Windigo Lodge, 8 p.m.
Flyodian Slip, Gun Flint Tavern, 9 p.m.
Earth, Wind & Todd, American Legion, 9 p.m.
DJ D’Angelo, Papa Charlie’s, 9:30 p.m.
Pete Kavanaugh, papa Charlie’s, 3:15 p.m.
Briand Morrison, Lutsen Resort, 7 p.m.
Gordon Thorne, Cascade Lodge Pub, 7 p.m.
Joe Paulik, Big Bear Lodge, 7 p.m. Pushing Chain, Bluefin Grille, 8 p.m.
Eric Frost & Bill Hanson, Papa Charlie’s, 3:15 p.m.
Heiruspecs, Papa Charlie’s, 9:30 p.m.
Sam Black & Clare Chopp, Classical Music, Bluefin Grille, 6 p.m.
Dave Simonette & Benson Ramsey, Monday Night Songwriter Series, Papa Charlie’s, 8 p.m.
Joe Paulik, Bluefin Grille, 8 p.m.
Open Mic Night, Gun Flint Tavern, 5 p.m.
Teague Alexy, Spotlight North, Papa Charlie’s, 8 p.m. Here are some of the photographs we found this week. Let’s start out with a Paul Sundberg. At the end of each year, he posts his favorite images from the year. 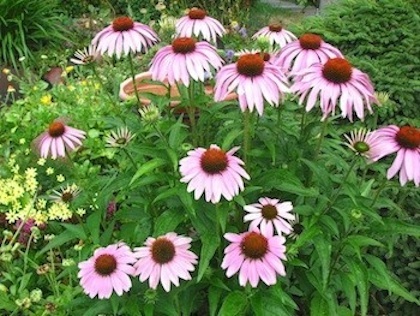 To see them, click here. The image below was taken this summer at Caribou Lake. 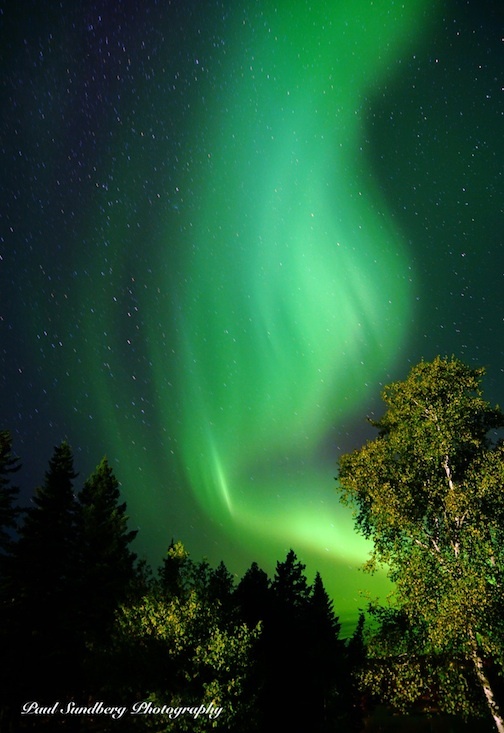 Aurora Over Caribou Lake by Paul Sundberg. 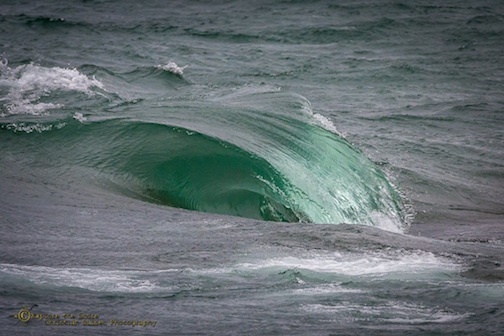 We found some wonderful wave shots this week. Here’s one by Sandra Updyke. 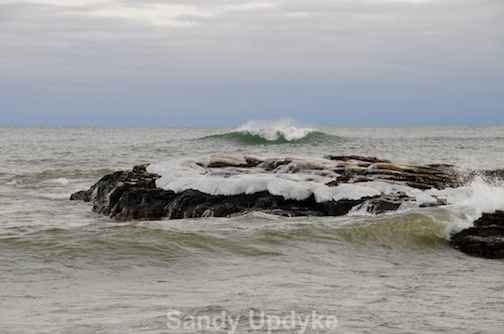 Waves rolling in by Sandra Updyke. 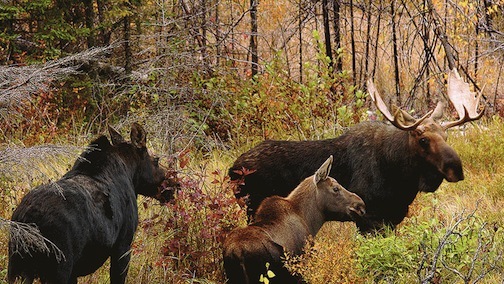 Here’s a beauty by Travis Novitsky. 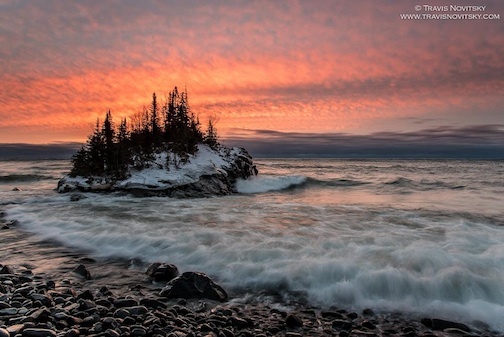 Mild Winter Morning at the Rock by Travis Novitsky. 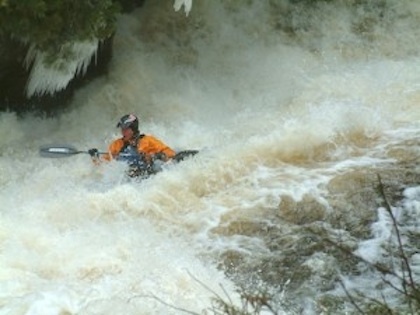 Christian Dalbec is putting on a wet suit and getting close and personal in Lake Superior. Here’s an image he took the other day. Stoney Point Wave by Christian Dalbec. 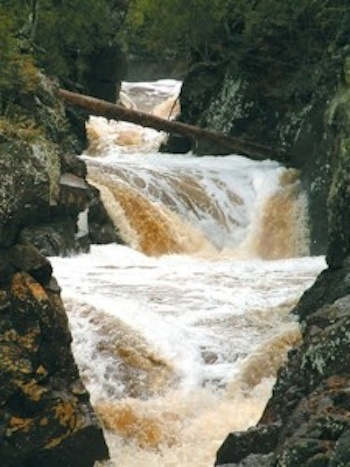 This creek, you might say, had waves, but none are left. Here are two by David Johnson. 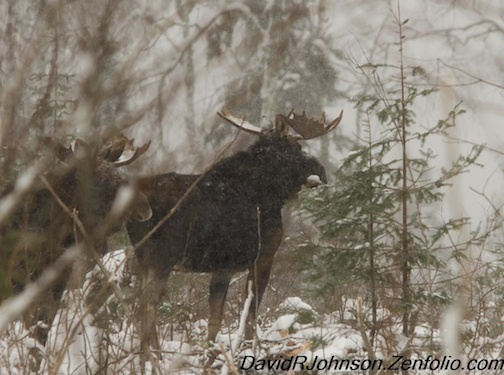 Two bull moose by David Johnson. 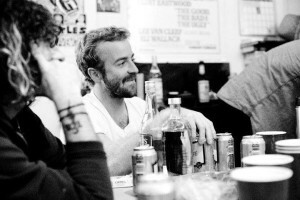 And this great shot by Thomas Spence. 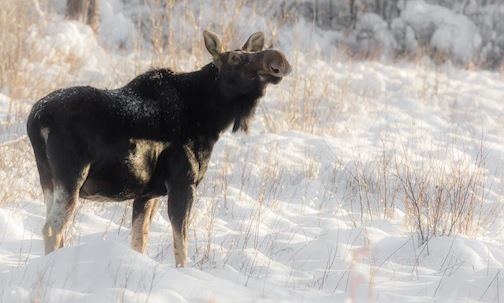 Moose catching the scent by Thomas Spence. 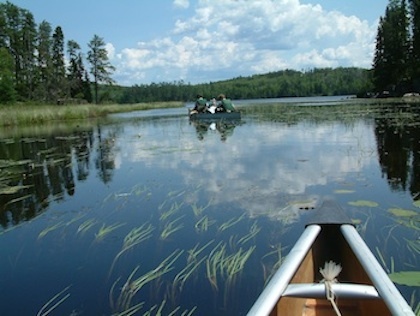 Nace Hagemann is well-known for his shots of the icon of the Northwoods. 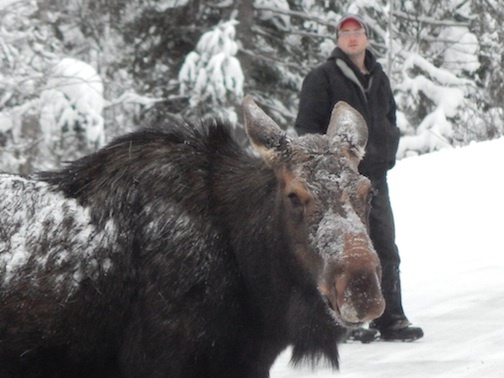 Here we see him and a moose, which he probably has photographed many times, together on the Trail. Her head covers the camera he is holding in his hand. 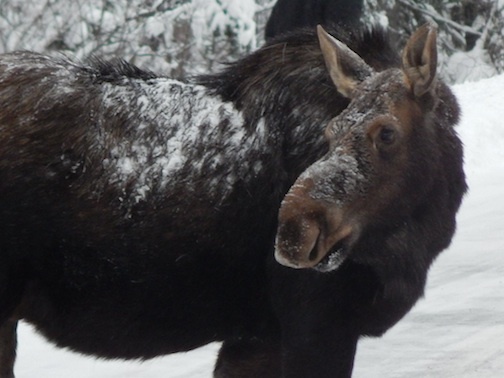 We found other great wildlife shots, too. 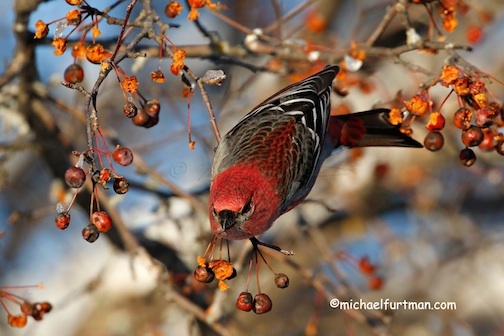 Male Pine Grosbreak reaching for a berry by Michael Furtman. 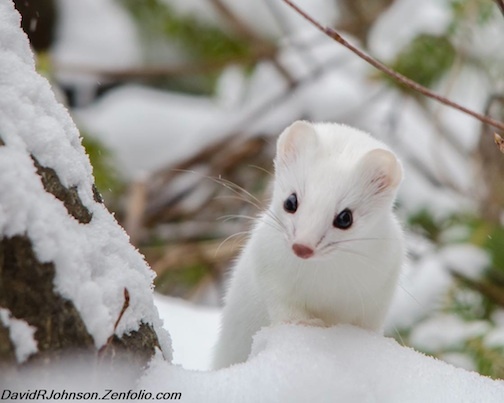 Portrait of a weasel by David Johnson. 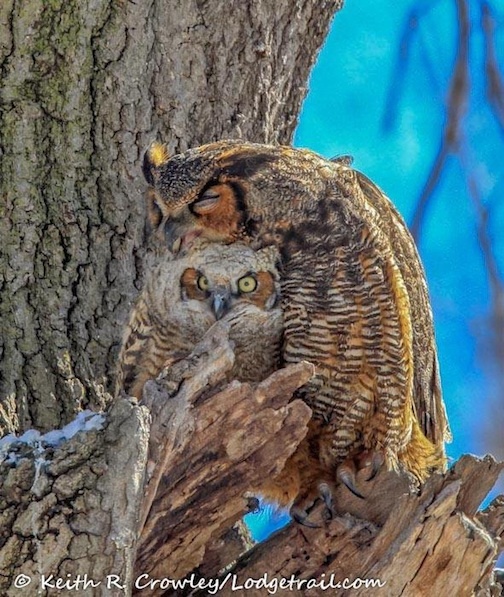 This wonderful photo of a Great Horned Owl and her chick was posted this week, but it was taken last summer. Great Horned Owl & Chick by Keith Crowley. Here’s a photo of a rare bird in the Northwoods having a snack. 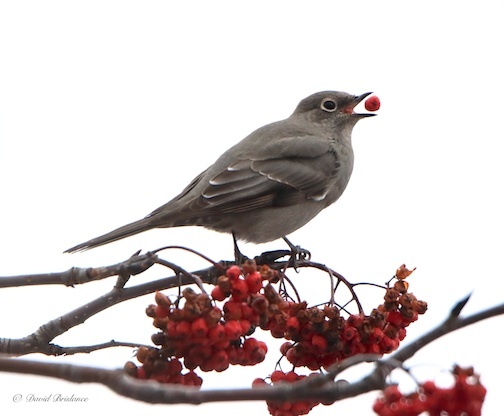 Townsend’s Solitaire by David Brislance. And we found some wonderful snow shots. 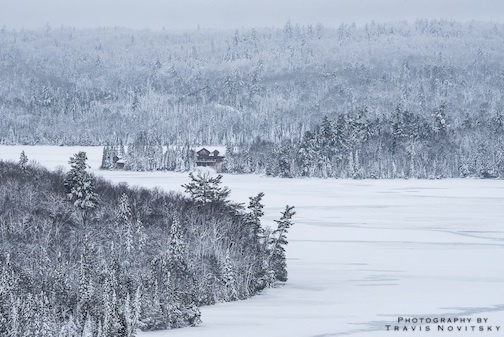 Hungry Jack Lodge by Travis Novitsky. 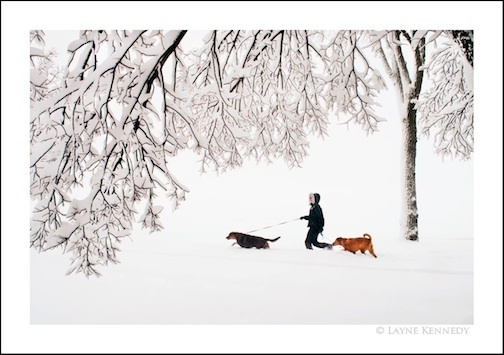 The Joy of a New Snow by Layne Kennedy. 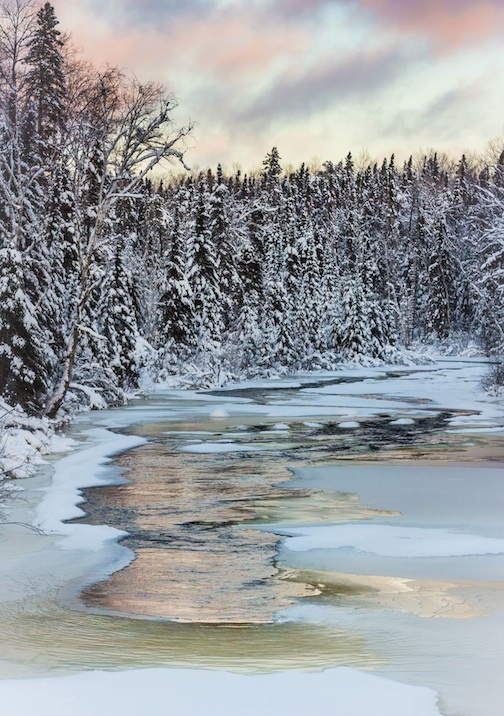 Sunset Along the Sawbill Trail by Thomas Spence. Truth be told, we also have had a lot of ice. Check this out. 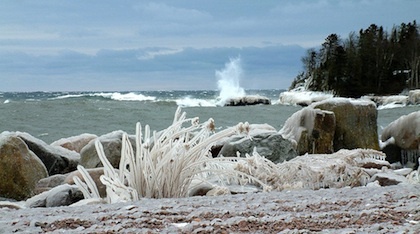 Extraterrestial Landscape at Gooseberry State Park by Cary Schmies. Have a great weekend, everyone And Happy New Year!! I love that you still keep your blog updated. I love chcknieg in and seeing what you’ve been up too through photos and stories.. thanks for sharing!